The skin of your lips contains a small amount of sebum (an oil), you should always keep them moisturized if you want them to always be fresh, nice and therefore pink. Apply petroleum jelly or lip balm and if you are inside, use some coco butter or lip gloss. If you want your lips to be soft and pink, you must keep them moisturized. This is another efficient way to lighten dark, dull lips. 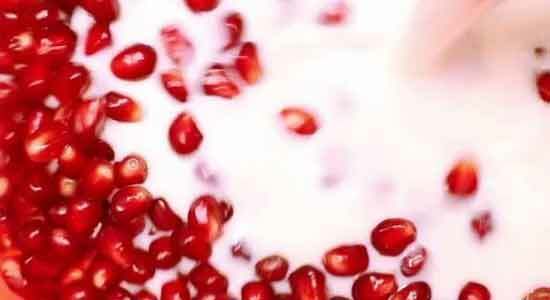 You can create that beautiful pink color by using pomegranate seeds. Crush up the seeds and mix it with some milk. Apply this home remedy to your lips regularly, you will see them becoming redder and fuller. The fantastic thing about this remedy is that there are no side effects. These seeds are sold in some shops everywhere.